The Orbital Crystalite champagne flute is a modern design with a fine spiral pattern around the bottom of the glass. There is an engraving area just above the spiral where the glass can be personalised with any wording, logo or crest. This elegant champagne flute will take pride of place at a corporate event or special occasion and would also make a great personalised gift. 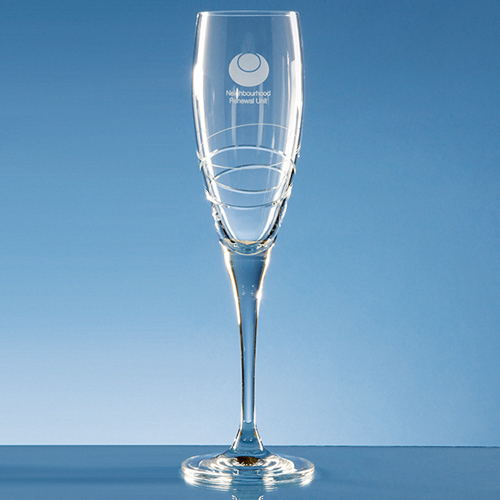 Also available in the Orbital range is a Crystalite wine glass, high ball and whisky tumbler.